The Charity Centre for Refugees (CCR), UNHCR implementing partner, organized on the 25th September an awarding ceremony in order to hand the first diplomas to a group of refugees who successfully passed the computer skills study course and its final test, carried out by CCR in collaboration with the State Pedagogical University Ion Creanga, as part of the CTA (Community Technology Access) project. The CTA project was totally supported by UNHRC and its activities are still sustainable even after the project ended in 2012. 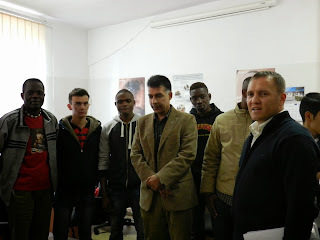 This project has been implemented in order to support refugees in obtaining computer skills. The computer classes were held both at the TAC (Temporary Accommodation Center for Asylum Seekers) and at the CCR. 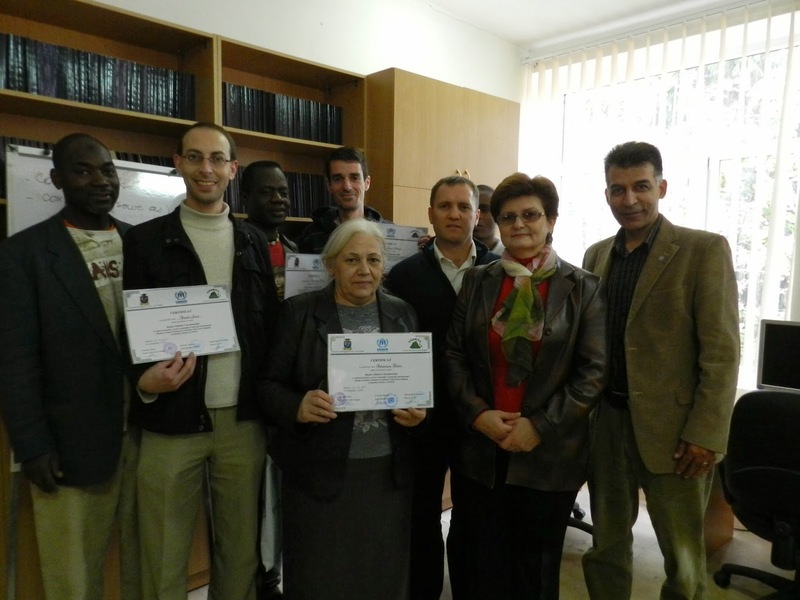 The refugees proudly received their certificates which enhance their self-reliance by increasing their opportunities of finding a better job, as well as allow them to use the Informational Technologies (IT) on a more professional level. Indeed, nowadays it’s very important for anybody to know the basics in IT, both for their professional and personal life, especially for refugees that need to stay in contact with their family. The CCR Project coordinator, Mr. Djavid Paknehad the Programme Coordinator from UNHCR office in Moldova, Mr. Dinu Lipcanu, together with Mrs. Elena Ţap, “Ion Creanga” State Pedagogical University professor of Informatics, and CCR team were present to congratulate and encourage the refugees and wish them best of luck in their future plans. In addition, CCR Project Coordinator used this occasion to thank UNHCR and the State Pedagogical University for their support to our beneficiaries and wished for this successful partnership to continue and further expand for the benefit of refugees and asylum seekers in the Republic of Moldova.